The Metropolitan Atlanta Arts Fund of the Atlanta Community Foundation announced it has awarded Actor’s Express a grant of $150,000 over the next two years. The funds will be used to expand the theatre’s reach into new diverse audiences around Atlanta, support new work form nationally known playwrights, establish a financial reserve to ensure the long term health of the company. This award is the latest in a string of fundraising successes that have allowed the company to grow its budget from around $650,000 annually in 2013 to nearly $1,000,000 in the 2015 – 2016 budget year. Expanding the budget has allowed Actor’s Express to increase its production schedule from five plays three years ago to seven this season, increase salary for its artists, move to a larger equity contract and hire additional staff. Most importantly, the budget growth and fundraising success has led to an even greater impact in the community. AE now attracts more than 17,000 patrons each season, hires more than 100 local artists and this season will be producing three world premier productions. This incredible growth could not be done without the incredible support of a dedicated group of individual donors who saw the theatre’s potential and committed early to its success. Longtime supporters, Stephen Brown, Chris Cofrin, Diane Durgin, Jessica Linden, Dr. Jesse Peel, Tim Renjilian and Dr. Jesse Peel became the core of the theatre’s new momentum raising more than $175,000 over a two year period to increase production values and support the theatre’s growth. New donors, Dianne Bernez, Stephanie Davis, Mike Gardner and Brent Huff, Arlene Glazer, Mark Hammond and Paul Zurawski among others were inspired by their leadership and have joined this core group, committing an additional $50,000 to the support of the theatre’s operations. 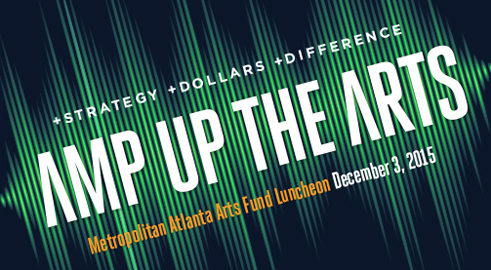 Board Chair Stephen Brown, a philanthropist who has sponsored nearly every musical at AE in the last three years, had this to say about the recent success: "Because of this generous, phenomenal gift by the Metropolitan Atlanta Arts Fund and the support of numerous major donors, our cherished organization will be able to lift up new works by diverse artists and reach new audiences. This tremendous investment in our organization's mission and sustainability helps elevate the quality of life for our community. I am honored and thrilled to be a small part of this remarkable success both as a donor and a leader on the board. I encourage everyone to make the arts a cornerstone of their life." With an eye on its 30th anniversary season (2016 - 2017), Actor’s Express is excited to continue its remarkable growth - completing a dedicated $100,000 reserve fund, finishing the transition into a full equity house and expanding its programming to server ever larger segments of Atlanta.